The International Press Institute (IPI), a global network of editors, media executives and leading journalists, has expressed grave concern to the government of Bangladesh over recent attacks on journalists and the detention of noted photojournalist Shahidul Alam. IPI urged Prime Minister Sheikh Hasina in a letter to take robust steps to prevent violence against journalists and to ensure the release of Alam and that all charges against him be dropped. 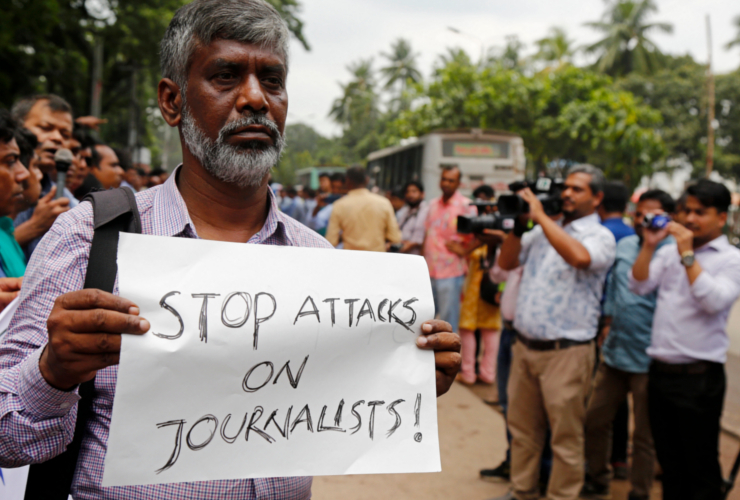 “We note with great concern a series of recent attacks on working journalists, several of which were reportedly carried out by supporters of your party as well as, in the case of journalists covering the ongoing student protests, by security forces”, IPI Head of Advocacy Ravi R. Prasad said in the letter. Describing the arrest and prosecution of Mr. Alam as a clear infringement of freedom of expression as guaranteed under international treaties signed by Bangladesh. The letter further noted that Alam has been charged with spreading propaganda and false information against the government due to Facebook posts and an interview he gave to Al Jazeera. These charges, the letter said, which are based on the controversial Section 57 of the Information and Communication Technology (ICT) Act, appear to be an act of retaliation for Alam’s critical views. The letter recalled the role press freedom played in Bangladesh’s independence struggle, highlighting that on the night of March 25, 1971, a group of journalists broke the news of a genocide carried out by the Pakistani occupation army to the world, helping to build a strong public opinion around the world in support of the Liberation War of Bangladesh. The writers of Bangladesh’s constitution recognized the importance of a free press by guaranteeing press freedom. “We urge you to keep this spirit in mind and ensure that constitutional protections for the press are upheld”, Prasad said. The letter also stressed the IPI network’s great concern over the Bangladesh government’s planned move to replace the ICT Act with the Digital Security Act, provisions of which are equally or more draconian and will restrict the right of journalists to expose acts of corruption that Hasina’s government had promised to eradicate. 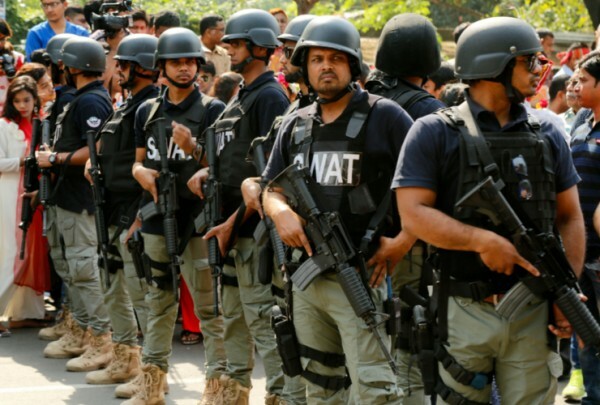 “The bill if approved by Parliament in the current form will have a serious, oppressive impact not only on journalists but also on all citizens of Bangladesh”, the letter said. The International Press Institute (IPI), a global network of editors, media executives and leading journalists, is extremely concerned over the recent attacks on journalists and detention of noted photojournalist Shahidul Alam. We urge you to ensure that all charges against Mr Alam are dropped and that he be released immediately. We also request you to put an end to the attacks on journalists. Mr Alam has been charged with spreading propaganda and false information against the government based on Facebook posts and a video he gave to Al Jazeera. These charges, which are based on Section 57 of the Information and Communication Technology Act, appear to be an act of retaliation for Mr Alam’s critical views. The prosecution of Mr Alam is a clear infringement of freedom of expression as guaranteed under international treaties to which Bangladesh is a party. We note with great concern a series of recent attacks on working journalists, several of which were reportedly carried out by supporters of your party as well as, in the case of journalists covering the ongoing student protests, by security forces. 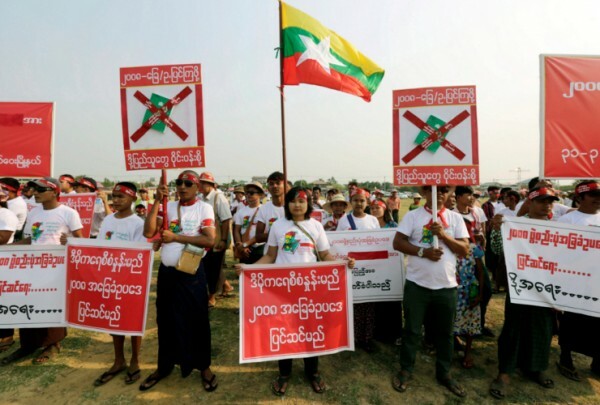 These attacks indicate that your party has grown intolerant of independent journalists and critics and that it is deploying its cadres to crush journalistic coverage of dissent, which is contrary to the democratic values your government claims to uphold. Your excellency, Bangladesh, in fact, emerged as a nation and became a strong democracy owing to press freedom. Perhaps you remember that in 1971 on the night of March 25 a group of journalists broke the news of a genocide carried by the Pakistani occupation army to the world. Thanks to the role of the press, a strong public opinion was built across the world in favour of the Liberation War of Bangladesh. The writers of the Bangladesh constitution recognized the importance of a free press by guaranteeing press freedom in the constitution. We urge you to keep this spirit in mind and ensure that constitutional protections for the press are upheld. The IPI network is also extremely concerned about your government’s move to replace the ICT Act with the Digital Security Act, provisions of which are equally or more draconian and will restrict the right of journalists to expose acts of corruption that you have consistently promised to eradicate. The bill if approved by Parliament in the current form will have a serious, oppressive impact not only on journalists but also on all citizens of Bangladesh. We therefore urge you to act immediately and take appropriate action to end attacks on journalists, drop charges against Mr Alam and all other journalists who have been wrongfully targeted under the ICT Act, and to hold talks with journalists’ bodies in the country to create a conducive atmosphere for press freedom in the country, which has been seriously compromised by recent incidents.